The Sheriff’s Office is releasing an update on the investigation into the death of 57-year-old Eric “Sunny” Buttler of Ojai. Buttler was reported missing by his family on July 28, 2017 and was found deceased in a Las Canovas Canyon creek bed on July 14, 2017 near a popular hiking trail. The Sheriff’s Coroner’s Office and Sheriff’s Criminal Investigations Division conducted an investigation into the circumstances surrounding his death and do not believe foul play was involved. An official cause of death is pending toxicology and lab results. I hope Buttler's family hires a private investigator to find out what really happened. It doesn't look like they'll be getting the straight scoop from the SB Sheriff's office. We seem to live in an era where everything is a conspiracy, by default, and no matter how ludicrously improbable. Don't jump to conclusions before the toxicology results. I'd suspect a psychedelic accident with a subsequent opportunistic auto theft. 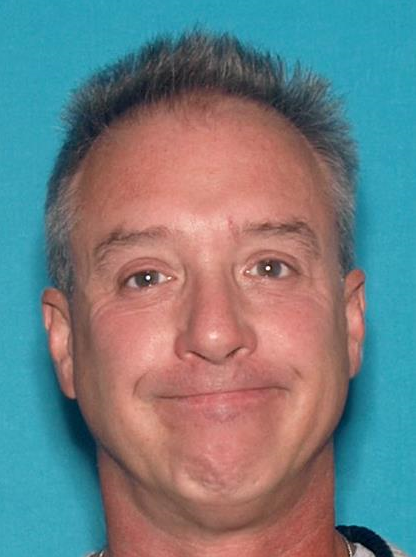 Buttler was reportedly traveling from Ojai to Lompoc, when for unknown reasons, he stopped overnight in Carpinteria. His cell phone was found at a service station in Carpinteria. On July 4, his truck was found stripped in a field in Santa Maria. Buttler's body was found July 14 in a creekbed near Gaviota. Nope. Nothing suspicious here. How could foul play possibly be involved? Is the Sheriff's Department serious??? I agree it sounds suspicious. But, I would think that anyone willing to strip a car would also steal the phone.